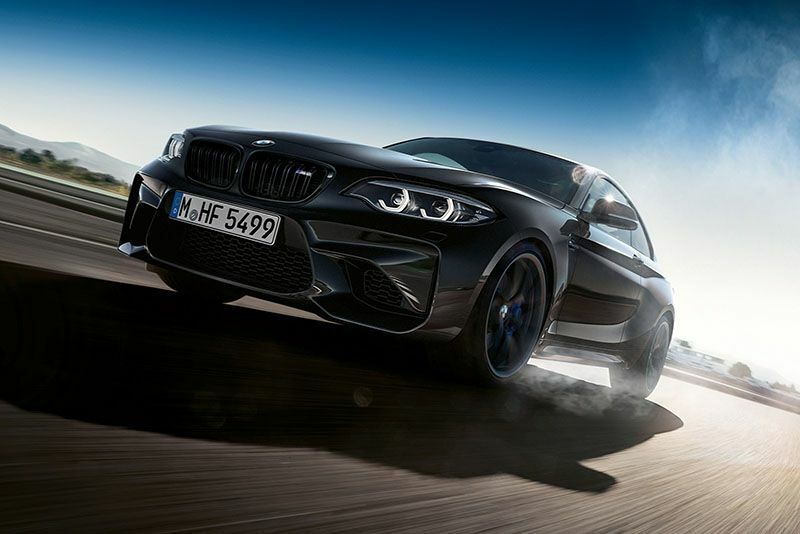 BMW's M2 was the best-selling M car of 2017 and, in recognition of this feat, BMW has released the M2 Edition Black Shadow ahead of the Geneva Motor Show. And, just to put this in perspective, the M2 outsold the M3, M4, M5, M6, X5 M and the X6 M.
If you think there's a performance upgrade then you'll be disappointed though, it's cosmetic tweaks only for the Black Shadow. These include one colour paint option called Sapphire Black, matt-black 19-inch alloys, gloss-black on the kidney grille and side panels, carbon-effect door mirrors and rear diffuser, LED tail lights and black chrome tailpipes. Considering it's the standard 365bhp 3.0-litre straight six under the bonnet, the BMW M2 Edition Black Shadow will clock 62mph in 4.3 seconds when mated to the DCT auto, while top speed is 155mph. BMW’s has confirmed German models will go on sale in April but there's no news on the rest of the world receiving any just yet. Until we receive more information we can only speculate that, because of the BMW M2 Coupe Edition Black Shadow's exclusivity, the price will be a premium over the standard model. Rolls-royce Shows Its Darker Side With The New 593-hp Black Badge Edition!! Mercedes Amg Gt3 Limited Edition Is Highly Exclusive! The Alpina B7 Is A Monstrous Awd Bmw 7-series With 600bhp. So Basically A M7!